Police have received reports of two separate incidents involving children being approached in Horsham Park. 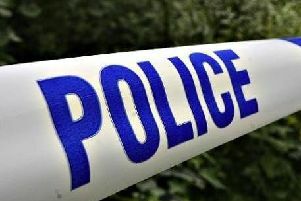 Officers said a complaint was made of a woman approaching a young child in the park at 4.40pm last Wednesday (July 4). The woman was described as white, 5’ 6”, with red hair in a ponytail and wearing a green t-shirt and patterned trousers. Police searched the area but there was no trace of the woman. Officers said advice was given to the informant. Horsham Police received a separate of two people approaching two girls in Horsham Park around 8pm on Friday night (July 6). One person was described as a white girl, around 15-years-old, of medium build, with brown curly hair and wearing a white crop top, denim shorts and white trainers. The second was described as a white boy, around 15-years-old, of medium build, with dark ginger short hair and wearing a white top and red trainers. Officers again spoke with the informant and words of advice were given.